I hope everyone has had a wonderful Mother’s Day! I need to take a minute to brag on my Momma. She’s such an incredibly thoughtful woman. She’s been my example, my best friend, advisor and support system for as long as I can remember. Throughout this entire moving process, she’s been alongside for the fun parts (house shopping) and the really not fun parts (packing and painting). 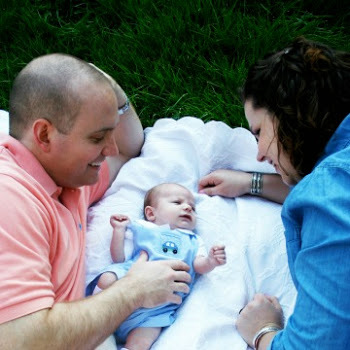 This past week, she’s gone so far above and beyond a role as a mother and a friend. She came over almost every day and helped with something. She brought us food. She helped paint… and the list goes on and on. Most importantly, she was a huge encouragement when I was frustrated or feeling like things were moving WAY more slowly than they should be. Which, let’s be honest, they were… but she helped me look past it and move forward. Together, we conquered a big project that would have taken hours to do by myself. There was actually a lot of debate on this project as well. 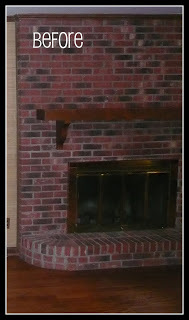 Apparently, my house causes a lot of that… the sectional, the fireplace, the cabinets, the desk. I’m sure I’ll tell you about each of those projects in time. Right now, it’s the fireplace. To paint or not to paint? We had a lot of votes for both sides. Apparently, people feel very strongly on this issue one way or the other. The debate was settled while I was painting the trim. I got a lot of it on the brick, so it was pretty much decided. 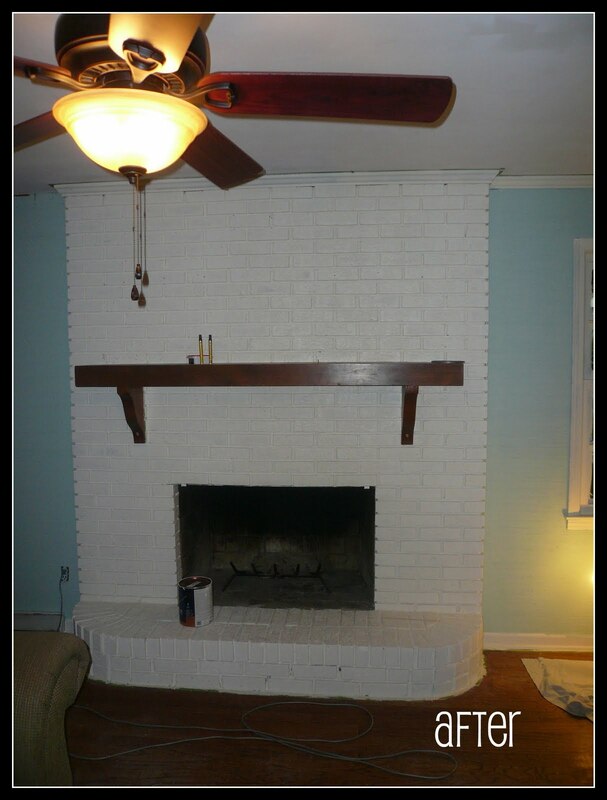 I forgot to take a really good before picture of the fireplace before. So after all that debate, I love it! It’s so much brighter. I also need to give a huge shout out to my husband who painstakingly installed our beautiful new fan. We desperately needed it in there. Since the fireplace makeover only took 2 gallons of Valspar Signature Paint in Linen White (which is also the color of all the trim). 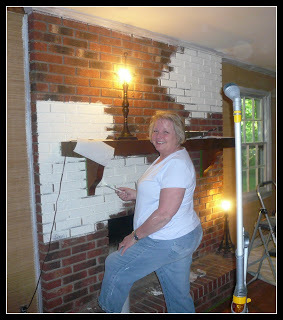 So our fabuless fireplace makeover cost $60. Not bad for huge impact, huh? Happy Mothers Day to my wonderful Mother and too all the other mothers out there!